His "Star Team for Children" Charity Association will raise funds for children in need. Another remarkable event is coming to Bansko and this time it"s the superstar team of H.S.H. Prince Albert II of Monaco! The Prince has chosen the premier Bulgarian winter resort for the 6-th Ski event of his "Star Team for Children" Charity Association and will arrive on January 27, leading a cast of worldknown legends in various sport disciplines. H.S.H. Prince Albert II of Monaco and Mr. Mauro Serra founded the association in 1993, attracting as members outstanding sports champions from all over the world, each one of them – with remarkable achievements in their field. The idea was simple and effective - through spectacular events with notorious athletes to attract children to sport, stimulate young talents and raise funds for charity causes. Bulgarian Ski Federation and the Municipality of Bansko are honoured to organise and host this exclusive event, which - apart from the traditional ski race - will include a biathlon competition for the first time! 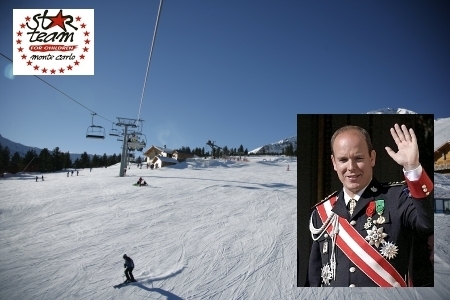 With skis and rifles on the white runs in 2012 will appear: S.A.R. Prince Emanuele Filiberto of Savoia, famous Formula 1 pilots Giancarlo Fisichella, Vitaly Petrov and Riccardo Patrese, five-time winner of Ski World Cup Marc Girardelli, pole vault legend Sergey Bubka and many more.